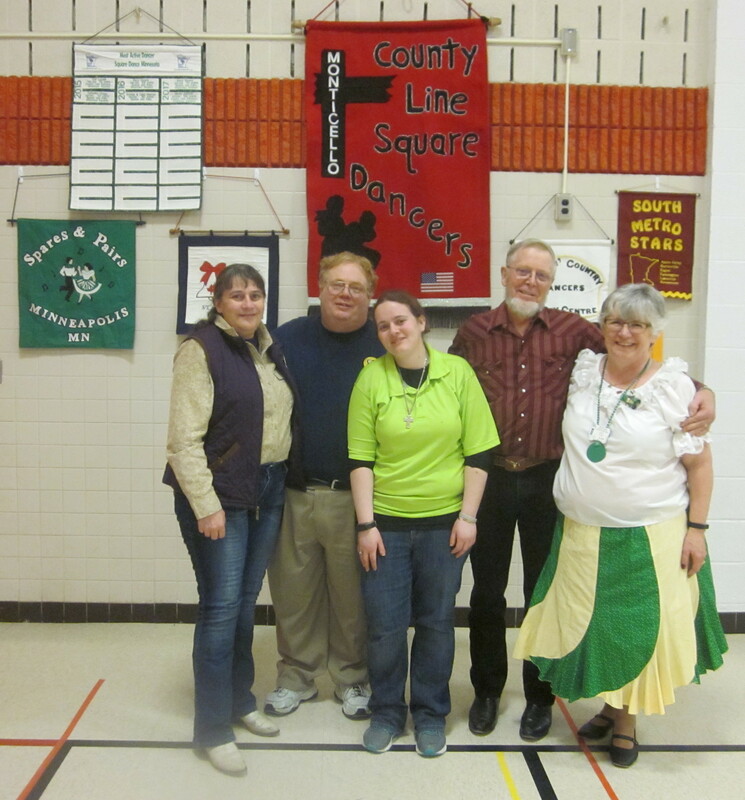 County Line Squares | Square Dance Minnesota, Inc.
March 9, 2018 – County Line Squares “Shamrock Shuffle” Square Dance, Monticello, Caller Abe Maier, Cuer Sarah Klaphake. Ten squares with dancers from ten organizations (Ar-Dale Dancers, Beaux & Belles, Cambridge Corners, County Line Squares, Hot Foot Stompers, Koronis Nite Owls, Rockin’ Country Dancers, Single Circles, Spares & Pairs, and Westonka Whirlers) were present. 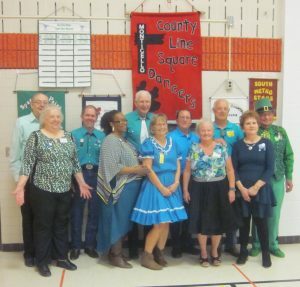 Also present were Hot Foot Stompers Queen Rose, County Line Squares Queen Susie, Federation President Michelle Jensen, the RoundUp Advertising Manager Connie Walker-Pearson, the RoundUp Subscription Manager and Enhancin’ Dancin’ Editor Paul Pearson, SDM Chair LeRoy Elfmann, SDM Secretary Gael Zachman, SDM Historian Al Martin, and SDM Marketing Director Dee Scott. 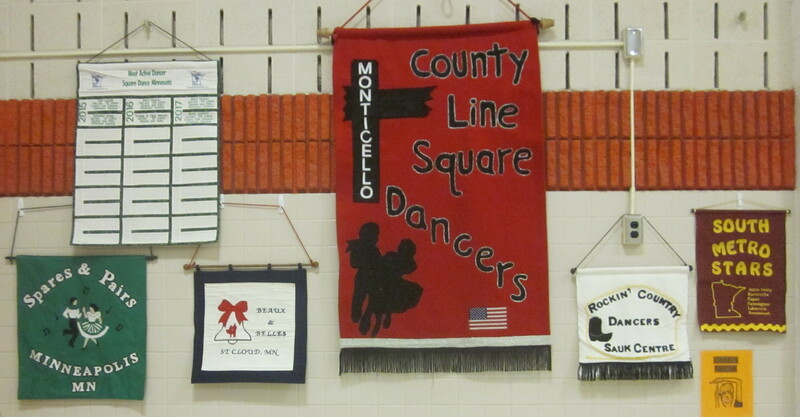 Koronis Nite Owls claimed a County Line Squares banner. Single Circles claimed a County Line Squares banner. This entry was posted in Activities on March 10, 2018 by LeRoy.